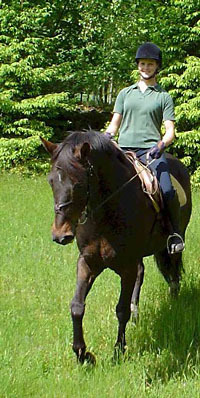 �lm�s Farm is a small riding school with nice, well educated horses and ponies. We have hundreds of kilometres naturebased riding paths around the farm. You decide for yourself, how long your riding tour shall be. The horse riding is planned according to your desires and your skills and will be conducted by a certified riding instructor. We can take 2-6 persons per ride. From SEK 150.